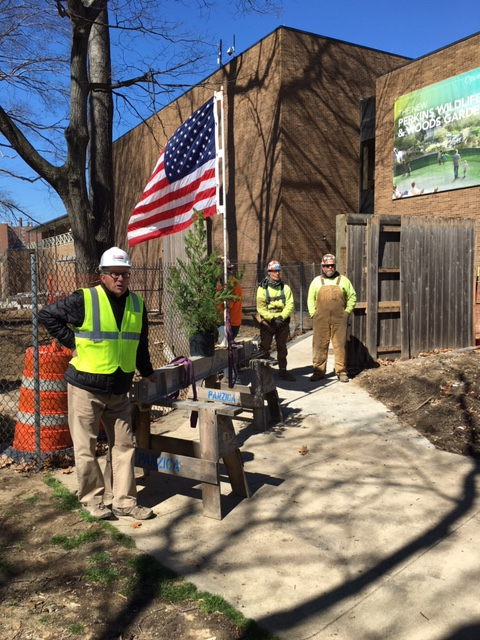 The sun came out in Cleveland yesterday for the “Topping Out” Ceremony at the Cleveland Museum of Natural History’s Perkins Wildlife Center. 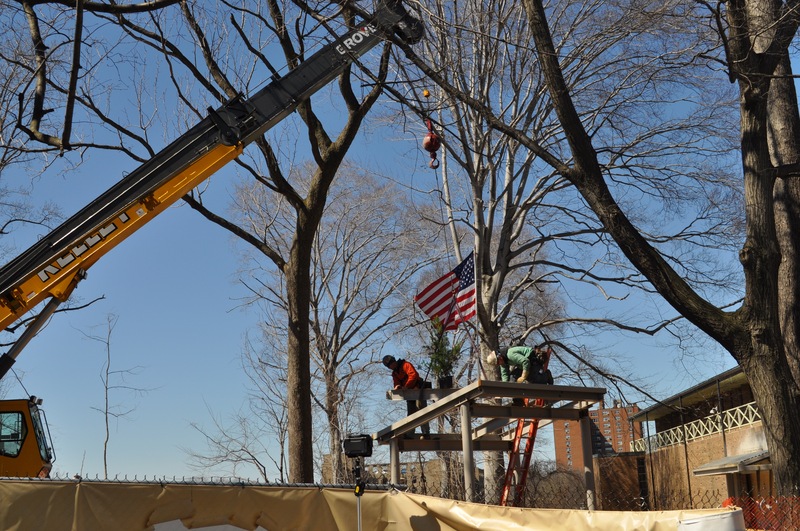 This ancient Scandinavian tradition is based in their belief of honoring the tree gods by placing a tree or its branches on top of the completed building for good luck. 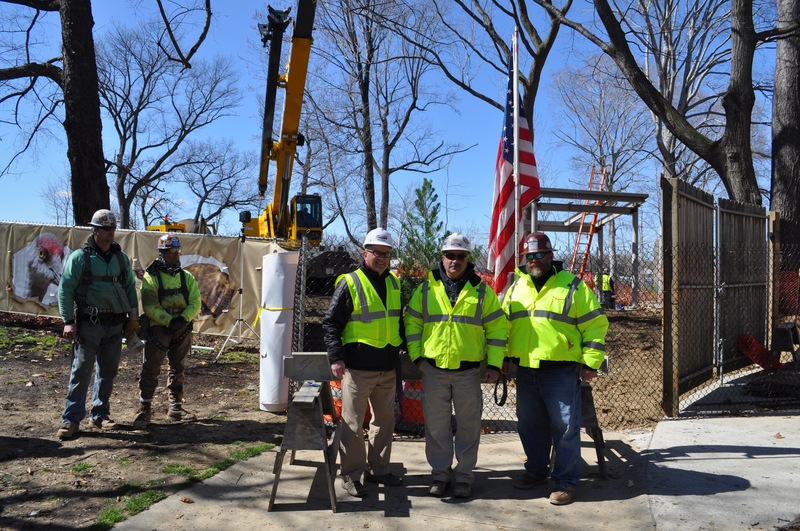 In our modern topping out ceremony, we honor the tradespeople who build the facility for their quality construction. Adorned with a tree, the American flag and the signatures of every individual that worked on the project, the final structural beam is hoisted from the ceremony and placed into position on the building. Staff and crew members from Panzica Construction, our project partners from Gilbane and the Museum joined together for this ceremony led by Panzica’s Director of Quality Assurance, Ron Payto. Perkins Wildlife Center will be open to the public later this summer! 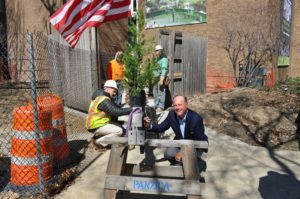 CEO Tony Panzica signing the beam. 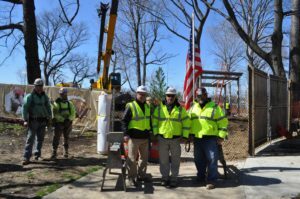 Panzica QA Director Ron Payto, Superintendent Mike Monaco and Safety Director Dave Valentine preparing the ceremonial structural beam.